Wales has become a scrapyard for abandoned cars as the numbers dumped on the roadside has tripled (347%) in four years and Rhondda tops the pile. 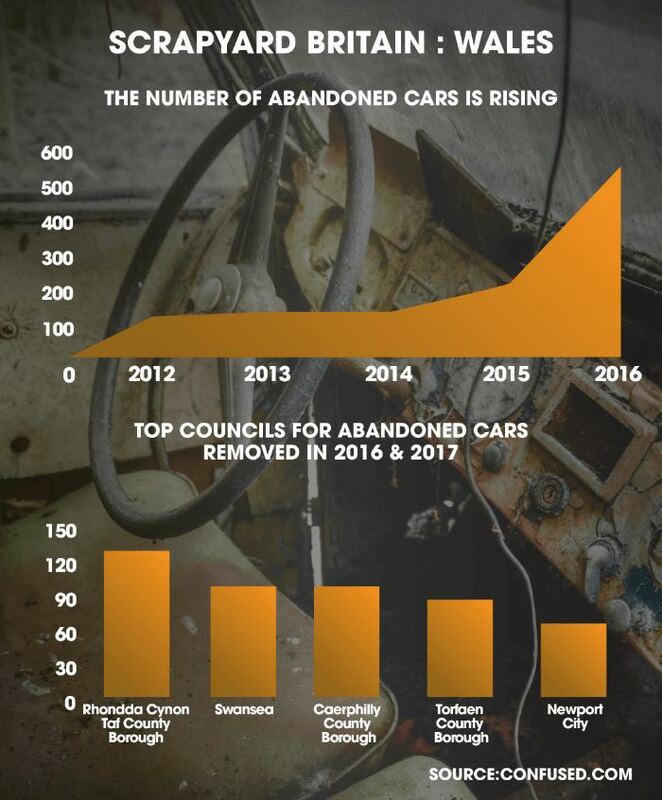 Dumping data obtained by Confused.com through Freedom of Information requests to the region’s councils, reveals a total of 12,456 cars were reported as abandoned throughout 2016 and 2017. To visualise the epidemic, the driver savings site has created an interactive scrapyard map, which compares the most prolific areas in Britain for drivers ditching their cars. And this proved to be an expensive issue for local authorities, as £70,044 of taxpayers’ money was spent removing 1,028 vehicles in 2016 and 2017. The map also shows some areas to be worse than others, with Rhondda Cynon Taf revealed as the scrapyard capital of Wales, with the local council removing the most vehicles in the region. And the issue seems to be widespread across the UK, with local authorities inundated with reports of drivers ditching their cars. In fact, a whopping 31,812 vehicles in total were removed by councils across the country in 2016 and 2017. That’s one car every 30 minutes and its become worse over time, having increased by 577% in the four years 2012-2016. Councils have spent £1M dealing with the problem but only £116,000 has been recouped in fines from the vehicle owners. The proliferation of the problem has not gone unnoticed by the public, with 261,724 reports of abandoned vehicles filed in 2016 and 2017. In fact, according to further research by Confused.com, three in five (60%) UK drivers say they find abandoned vehicles at the roadside a nuisance and say they make the streets look run down (60%). It seems drivers are most likely to spot unwanted cars left in more rural areas, with almost a quarter (23%) saying they have come across one on the side of a B-road. It’s no wonder motorists are outraged as one five (20%) have also seen them clogging up their own residential area. For drivers who have seen an abandoned vehicle, but not known what they can do about it, Confused.com has created a new ‘Report an abandoned car’ tool. 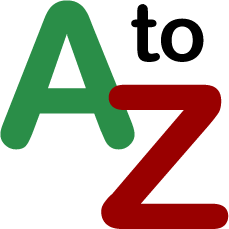 This enables drivers to search for their local council and directs them straight to the dedicated webpage for reporting an abandoned vehicle. The research suggests affordability is very much to blame for motorists abandoning their cars, as almost a quarter (23%) of UK drivers think the cost of motoring has becoming unaffordable. In fact, most drivers who have abandoned their car did so because they couldn’t afford to have it towed (30%), while one in 15 (7%) could no longer afford to run it. The expense of towing could explain why one in six (17%) drivers who have abandoned their vehicles did so for an average of three weeks, suggesting they were waiting until they could afford to move it. Others (6%) were concerned about being fined for driving the car without tax – which could cost them as much as £1,000 or five-times the annual road tax fee. However, abandoning a vehicle can have its own financial consequences, as one in 15 (7%) drivers who have ditched their car received a fine, costing them £132 on average. To try and address the problem of abandoned vehicles clogging up the UK’s roads and car parks, garages and manufacturers have put in place scrappage schemes to help relieve drivers of their old or unwanted cars sustainably. 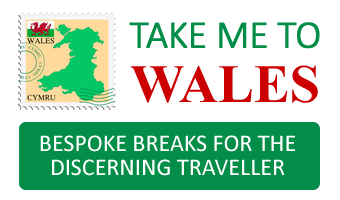 But, only one in eight (13%) motorists have used one of these schemes. Drivers using these schemes can be entitled to cashback if their vehicles meets a certain criteria, which is both easier and potentially more financially rewarding than selling a car privately and with the rising costs of car insurance, fuel and servicing and repair costs, a bit of extra cash could certainly come in handy.